This may sound quite straight-forward but your portfolio is always at risk when you are invested in the market, therefore protecting and preserving your capital is an important way to help de-risk your portfolio. De-risking helps to keep your accumulated wealth secure from market volatility, especially when you are nearing a short-term or long-term goal or retirement. A family emergency or a medical expense could derail your financial goals as timing these events is impossible to predict. So here is a quick list on how you can stay invested in the market strategically. Financial planning is all about planning your finances for unforeseen events and contingency simply means a reservoir of money kept aside to help cover up for such events. Setting aside some money in your savings bank account can help you dip in to the reserve, anytime you need it for sudden medical expenses, or if you have faced a job loss etc. Your contingency or emergency should be around six times your monthly expenses, set aside, where it is easily accessible to you in times of need. Buying a health cover will prevent your financial plans from de-railing particularly with medical expenses on the rise it is important to have adequate insurance for you as well as every other family member. An adequate cover will prevent you from dipping or depending on your investments for your cash needs in order to pay for a particular emergency. Once your insurance kicks in, your investments or your financials goals should continue without any hitch or hindrance. Sufficient life cover is a must have before you begin investing, as it can help cover up for loans you would have taken over the years in times where your dependents would no longer have a regular income, if something unforeseen should happen to you. If you are the only bread-winner in the family, a life cover will leave your family some income once you are no longer there to cater to their needs. Depending on your age bracket, you should allocate your assets accordingly to ensure your portfolio is completely de-risked. Investing in equity when you are younger for the long-term is a good start, whereby you can move your investments towards debt to protect your capital. If you have a stomach for large-risk you can remain invested and allow your money to grow in equity. Your asset allocation should fall in line with both your long-term and short-term goals. Even though equity pay-off more interest compared to debt, it’s important to have investments in debt to maintain a balanced portfolio. A debt distribution on your funds is a tactical way of creating a low-risk investment, especially investors who are seeking investments with low-risk income distribution. 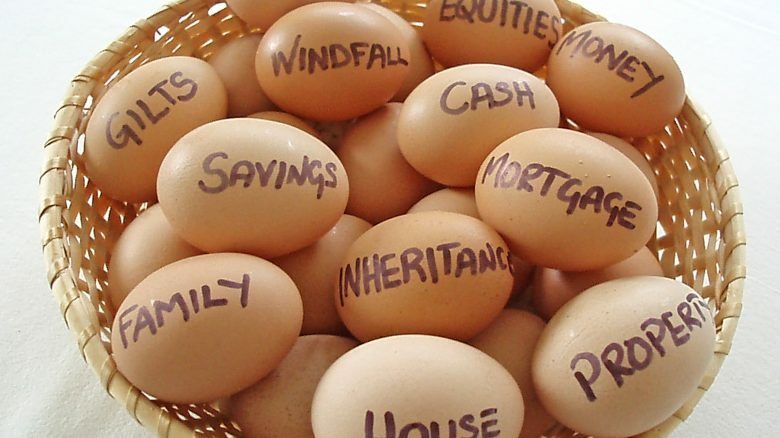 Not placing all your eggs in one basket will help you de-risk your investment portfolio, a good balance of equity and debt is an aggressive strategy to go about investing in the market. Both debt and equity investments are important for maintaining a balanced portfolio to aim at balancing both the risk and returns. The strategy of maintaining a balance of both is an aggressive strategy suitable for investors who are looking to remain invested for the long-term. Adequate insurance keeps you on your toes or on track if any unforeseen events are de-railing your financial plans.